A modern day microgrid is a mini-version of the electric grid – except usually smarter and more efficient. The electric grid is the interconnected wires, poles and power plants that deliver electricity to our homes and business. People use the catch-phrase ‘off-the-grid’ to describe someone who lives outside of mainstream culture. This phrase makes a lot of sense when you think about the size of the US grid. There isn’t much mainstream culture that it doesn’t touch; it extends to just about every corner of the country. The North American grid is so large – thousands and thousands of miles of wires, all connected together – that some people call it the world’s largest machine. Similar grids exist in Europe and throughout the developed world. The grid is a great thing. It brings electricity – and all of its comforts and conveniences – to everyone on it. Except when it breaks. And it breaks pretty easily. Trees fall on wires. Storms knock down poles. And since it’s all connected, one fallen wire can bring down another and another. This domino effect creates power outages that can spread for miles, sometimes over several states. The grid is a great thing…except when it breaks….Trees fall on wires. Storms knock down poles. Americans became painfully aware of the grid’s vulnerability during the devastating SuperStorm Sandy in 2012, when parts of the Northeast, including New York City, lost power for as many two weeks. Americans also noticed that not everything went dark. Lights continued to shine in some buildings in New York, New Jersey and Connecticut. These buildings had microgrids or related distributed generation. So after Superstorm Sandy, US energy planners started looking very closely at microgrids – mini grids that serve a small geographic area, maybe a college campus, or downtown area where there might be a hospital, a police station and a grocery store. They discovered that microgrids offer an excellent way to keep the power flowing when the grid is down. Why? Well we mentioned that modern microgrids are smart – they have sophisticated software and controls. Among other things, this intelligence allows them to ‘island’ from the main grid. That means when they see the domino effect beginning to occur, microgrids can separate and protect themselves from the trouble occurring on the main grid. They stop relying on the grid’s power plants and instead rely only on their own. You might ask, if microgrids have their own power plants, why do they bother relying on the grid at all? In places like the US, where there is a highly sophisticated grid, it makes sense for the microgrid to stay connected (as long as the grid is behaving as it should). When everything is working right, the grid and the microgrid serve each other. If a microgrid power plant fails, it can turn to the main grid for supply. Or if the main grid runs low on power supply – as it sometimes does on hot summer afternoons when we all are running our air conditioning – it can turn to the microgrid for some help. The microgrid gets paid for providing services to the grid (known as capacity, demand response and ancillary services), so the grid can serve as a source of revenue for the microgrid. Not all microgrids, however, are connected to a main grid. Sometimes a grid connection is impossible, such as on an island or a remote village in Africa or India which has no grid infrastructure. These are known as remote microgrids. Sometimes a faraway place installs a wind or solar microgrid so that it can avoid using expensive and polluting diesel power generators. College campuses are big users of microgrids. This makes sense for a lot of reasons. For one, they are set up for microgrids – they have many buildings close together. For another, campuses often house research facilities where power reliability is crucial. (See Of Mice & Microgrids: A Profile of the US’ Largest Microgrid.) Data centers also like microgrids for the same reason – they can’t afford to lose power. The military has become an early adopter of microgrids on US bases. They use remote microgrids, too, in places like Afghanistan. Cities are increasingly installing microgrids for ‘critical facilities’, such as hospitals, emergency shelters, police stations and grocery stores – the kind of places that really need electricity in a crisis. These are called community microgrids. 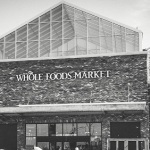 Businesses also are becoming microgrid customers. Power outages that disrupt work can create crippling losses. This makes microgrids attractive to industry. Or sometimes businesses opt for microgrids for environmental reasons, especially if they are located in an eco-park. So what exactly is in a microgrid? A microgrid is a self-contained power system, confined to a small geographic area. It will have one or more power plants, which are usually relatively small in size. It might also have some means to store energy, such as batteries. The power plants will serve one or more nearby buildings by way of wires and pipes connecting them. The whole system communicates and operates by way of intelligent energy management systems. Some microgrids incorporate electric vehicles and charging stations – more are likely to do so in the near future. The microgrid will charge up the car, but the car may act as battery storage for the microgrid. We mentioned that microgrids are often less polluting than grid power. This is because a microgrid power plant is usually fueled by renewable energy (solar and wind) or combined heat and power (CHP). CHP is a highly efficient technology that reuses waste heat created by power plants, transforming the waste heat into usable energy for a building or factory in the microgrid. A microgrid that uses CHP can offer customers not only electricity, but also heat, steam and hot water. Microgrids also are more efficient because their energy is created close to where it is used. The power does not have to travel miles and miles across large transmission lines. Some electricity gets lost when it travels across wires. So if a power plant is near the building (or in it or on it) there is little or no loss. As you can see, microgrids offer a lot of practical advantages. They can keep the lights on in a storm, serve the larger grid, and provide clean and efficient energy. There is another reason, too, that microgrids are becoming popular. They tap into a growing desire for local control over energy supply. City governments, communities and businesses want more say about where their energy comes from, the fuel it uses, and how it the energy is delivered. 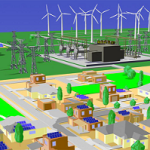 Microgrids offer local energy. 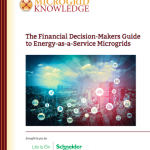 If you want more detailed information about microgrids, please take a look around MicrogridKnowledge.com. You’ll find profiles of businesses, institutions and communities that use microgrids. We also offer a lot of news and information that explains how, why and where microgrids are being adopted worldwide. Last, we welcome you to sign up for our free newsletter, join or LinkedIn Group and follow us on Twitter @MicrogridNews. 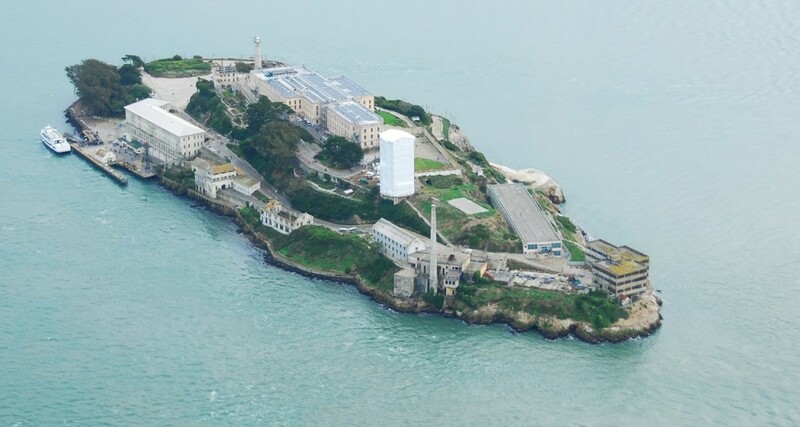 Alcatraz is NOT a microgrid! Ask yourself, where is the power source? Is it on the island? No? It’s not a microgrid! A microgrid is a grid that takes electrical energy from the plant where it’s manufactured (the source) and distributes it to the load points. It’s in effect a smaller version of the typically much larger grid(s) in place on many continents. Hawaii is a place that has a microgrid. All power is produced in Hawaii and consumed there. Remote communities might well have microgrids in place because it’s impractical to interconnect to the larger grid perhaps many hundreds of kilometers away.